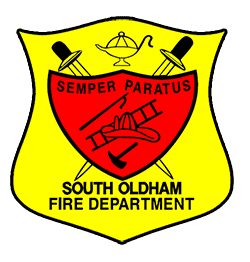 South Oldham Fire Department was notified on November 30, 2015 that effective March 1, 2016 we have been re-classified as a split Class 03/3X – ISO rated fire department. ISO – Insurance Services Office, Inc. rates fire departments on many factors related top their ability to provide fire protection on a nationally recognized survey and scores are based on various factors. The ISO Rating system is used by many of the largest insurance providers in the US to set both residential; and commercial insurance premiums for their customers. The best rating is Class 1 and ratings go up to a class 10 for fire departments that offer the least protection classification and water supply capabilities. South Oldham has been rated a split Class 4/9 since the late 1980’s and kept the same rating after the survey in early 2002’s. Having a full time crew in the fire station 24 hours a day, 365 days a year has help with the new rating. The Class 3 rating is the area in the district within 5 miles of a fire station and within 1000 feet of a fire hydrant. The Class 3X rating covers the district within 5 miles of a fire station, but not within 1000 feet of fire hydrant. I want to thank the members of the fire department who made this new rating possible by supporting the many changes in our policies and procedures in addition to logging more training and updating our equipment and tactics to improve our overall rating. If you reside in South Oldham Fire Department’s district and have any questions about your home owners insurance and the new class rating, feel free to contact me. There is always room for improvement, and I know we can reach that next level. Thanks everyone, and keep up the great work!